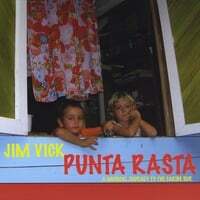 Punta Rasta, my new instrumental album, is almost done. I'm just finishing up the final editing and mixing, only a few weeks away from being able to release this baby. Getting there has turned out to be a huge commitment of work and time, wearing all the hats of producer, engineer, composer and primary instrumentalist on all the tracks, but I'm happy to say that I really think the resulting product was worth all that sweat and repetitive motion strain after all. I hope that you will agree when you hear it for yourself. Previews of the new mixes are coming right up, and I'll be sharing more details on the release date very soon, as well.